It's not just a place, it's an experience. Have your breakfast at the sea view balcony or a dinner looking at the night view of Liapades coast. Enjoy your holidays in the peaceful sounds of the forest in a peaceful surrounding. The house is located in Liapades village in North West Corfu, about 20km from Corfu town.It is 400m away from one of the most famous beaches of Corfu, Rovinia. About 100m from the main road and down the hill, it provides privacy in a beautiful, natural environment with stunning view while at the same time is about 500m away from the touristic area of Liapades village and 800m away from the centre of the village. 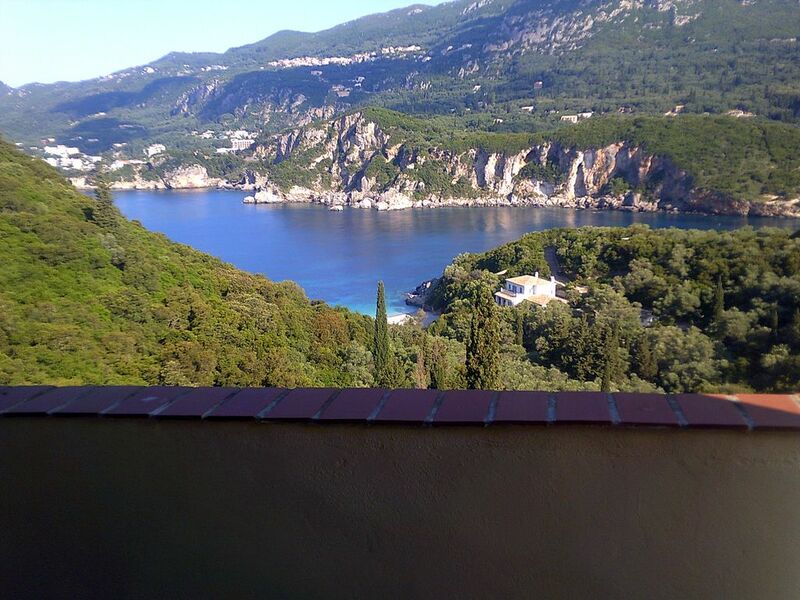 Sea view balcony to one of the most beautiful beaches in Corfu, Rovinia beach. Mooi ruim huis met fantastische ligging, rustig, geweldig uitzicht en dichtbij strand en voorzieningen. Zeer vriendelijke ontvangst en Chadris is een behulpzame host. Niet voor mensen die slecht ter been zijn.